Endeavour (NX) NC-06 - later reclassified as a separate class. The UES Enterprise was heavily damaged during the battle of New Elysium and, due to the needs of the service, has yet to be repaired. 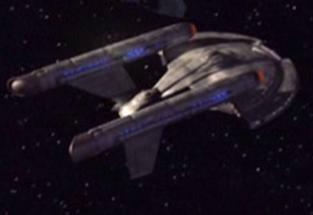 The UES Challenger was scuttled to prevent capture by Romulan forces. Both Columbia and Atlantis were destroyed at the battle of Acheron. As of 1 Jan 2157, only the NC-04 Discovery is still operational in the Terran fleet and there are currently no plans to continue production of this class. Due to the level of upgrades, modifications, and refits of the UES Endeavour, Starfleet Command decided to officially reclassify the NC-06 as a separate class of ship from the original Enterprise-class it was originally based on. The inclusion of a distinct and separate engineering hull (originally intended to be part of the unfinished NX-07 UES Gagarin) significantly increased Endeavour's energy output and allowed the ship to be capable of a sustained (and more importantly, stable) Warp 6. This larger reactor has also allowed deployment of a larger number of weapon systems in addition to an upgraded energy shield generator. Extensive upgrades to the hull plating polarizers (based on captured Orion technology) has made Endeavour the best warship available to Starfleet. As of 1 May 2158, there are three Endeavour-class hulls currently operational. Two additional hulls (NC-09 Buran and NC-10 Komarov) are being constructed. Generally considered the workhorse of the United Earth Starfleet, the Neptune-class is faster and better armed than the older Iceland-class and has recently undergone a massive refit to turn it into a better combat vessel. Attempts to install functional shields on the Neptune-class have met with failure. There are currently 15 Neptune-class starships operational in the Terran fleet. In modern Starfleet battle groups, Neptune-class ships generally serve in a role analogous to that of a cruiser. One of the oldest ship hulls in the United Earth Starfleet, the Iceland-class is nearing the thirty year mark. The most recent refit of this ship class has extended their operational lifespan by an estimated twenty years. Currently, there are 22 Iceland-class ships considered "active" in Starfleet, although 18 of them are currently undergoing additional refits to enhance their survivability. Starfleet battle groups consider the Iceland-class to be "destroyers", although the commanders of Iceland-class generally classify themselves more as the descendants of the submariners of the twentieth century. In combat, these ships generally act in groups of three or four, similar to the Nazi or American "wolfpack" mentality of the Second World War. Following the First Battle of Sol in October 2157, all remaining hulls of this design have been removed from active field service and rotated to planetary defense. 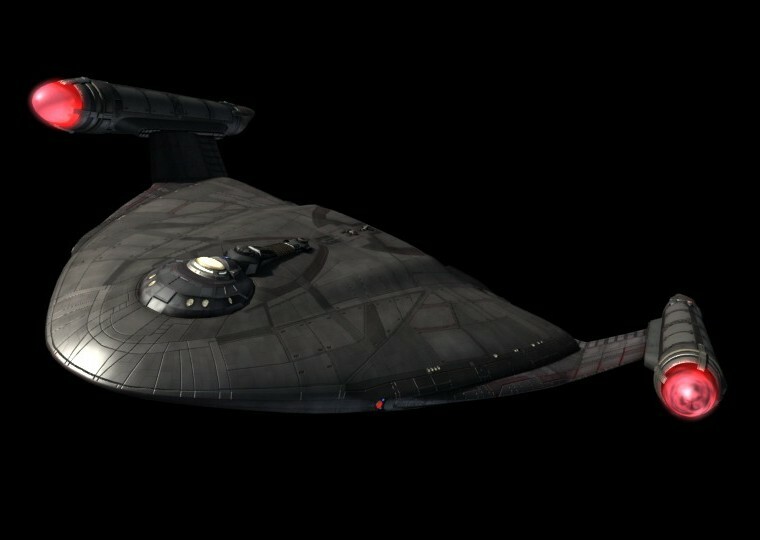 Originally designed as a joint exploration / colonization starship, the Daedalus was pressed into service as a combat vessel at the beginning of the Earth-Romulan War. As a "kitbashed" ship, Daedalus-class ships are easier to construct than any other ship in the human Fleet and, as a result, are being rushed out of the spacedocks. Daedalus-class ships have already earned a reputation as being remarkably resilient and very tough. While they may not have the killing power of an Enterprise-class, they are capable of surviving massive amounts of damage and require fewer personnel to crew them than expected. As indicated by the nomenclature of this ship class, the Sarajevo-class is primarily a survey ship pressed into service as a ship tender and troop transport. Despite their general ineffectiveness in combat, the design of the Sarajevo-class is quite structurally sound and has earned a reputation for being capable of taking a significant beating.